This ancient ritual seems to have lost value over time as a result of an instant gratification seeking society. When we pray it's usually because we need something to happen right away. When we pray for a blessing, we want to feel blessed immediately. When we pray for protection, we want to feel safe immediately. When we pray for deliverance, we want to be immediately delivered. 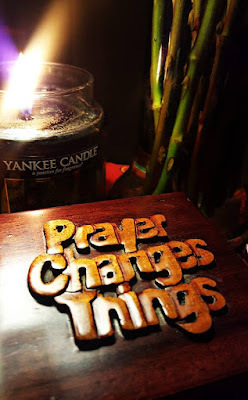 If change doesn't happen at the speed in which we feel it should, then we often conclude that prayer doesn't work. This is as wrong as 2 left shoes. Prayer is key to LIFE, but we pray amiss. We as a people have lost our boldness...we've exchanged solidarity and faith for individualism and greed. We no longer believe in our ability to manifest. We lack the patience and perseverance of our predecessors and have forgotten how to make a way out of no way.